"Moonmadness" was my first Camel experience. I loved it, so I decided to listen to their albums in a chronological, more realistic way. 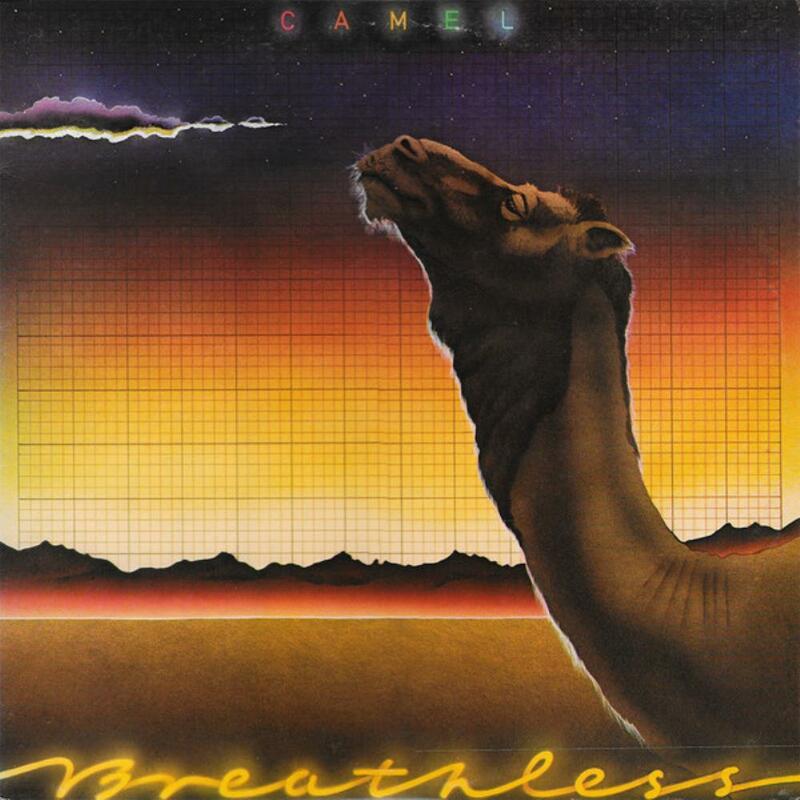 I grew more and more in love with Camel as I traveled forward in time... Until I reached "Breathless". I have read in a dozen of Camel's biographies that during the "Moonmadness" time Andy Ward was pushing into a more jazzy direction in the rhythm section, something that bassist Doug Ferguson rejected and led to his departure from the band. Next came ex-Caravaner Richard Sinclair, a different bass player that fitted Ward's tastes. And then came "A Live Record", a live masterpiece that focused Camel's best moments from their eponymous debut on to "Rain Dances". On that album there were inklings of a more commercial, poppier, even disco-er sound ("One of These Days I'll Get an Early Night"), but the overall progressive Camel remained. But then came this atrocity. I well understand what happened to prog bands in the late seventies and eighties (understand, not agree with). Some went to the bombastic extravaganza (ELP's "Works") to the cheesy pop music (Genesis and Yes), while others went through alternate styles (Rush and King Crimson). But with "Breathless" Camel decided to opt for the abominable disco style, a musical direction I totally loathe and that my ears find simply unlistenable. Take, for instance, tracks like "Wing and a Prayer", "Down on the Farm", "Summer Lightning", and "You Make Me Smile". Simply awful songs that can't be saved even by their extended guitar and keyboard solos. The disco sound is unbearable, reminding me of those awful BeeGees songs or those guys who sing YMCA (don't remember their name and honestly don't care). Not even Mel Collins saxes help; on the contrary, they augment that disco seventies feel. What happened to Andy Ward's jazz tendencies? Now he's just playing a dance beat! I should have known just by watching the cover that this one would let me down. Looks like a Camel looking sadly at the entrance of a seventies discotheque, with the neon lights and all. Only "Echoes" and "The Sleeper" are good songs that save this debacle from a one- or even a zero- star rating.